KariXchange, a Nigerian software start-up, has built an artificial intelligent bot that will take into consideration stuff like user design, ultimate user experience and user empowerment. The artificial intelligent bot, called "Nyra" will be able to predict world cup matches in the future or football games. Nyra is both a social and service bot that will be deployed in major social activities and also act as a backbone for KariXchanges Service Apps. "Nyra, an androgynous bot is intelligent enough to predict matches, chat with users over any topic, and create a user experience around chats.
" On the World Cup, Nyra gave valuable information on progress of the games and also predicted scores." "Nyra prompts predictions from users and any user who happens to make accurate counter prediction stands to win gifts." 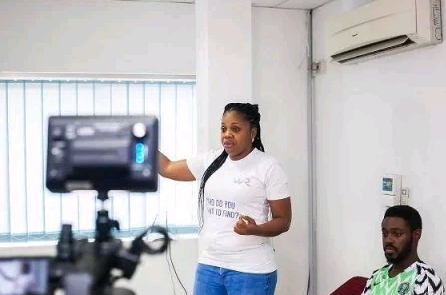 The CEO of the Startup, Eucharia Amanambu, states that "in two months, KariXchange will launch its first service application, which will be centered around Nyra, but specifically utilize machine learning, another branch of AI, to make the app cognitive, accurate in predicting human behavior and excellent in customer service".